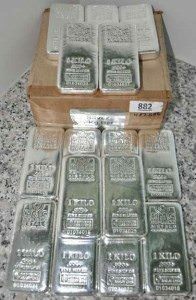 Kilo Silver Bar (32.15 oz) Mint - Best Prices + Free Shipping = Happiness! 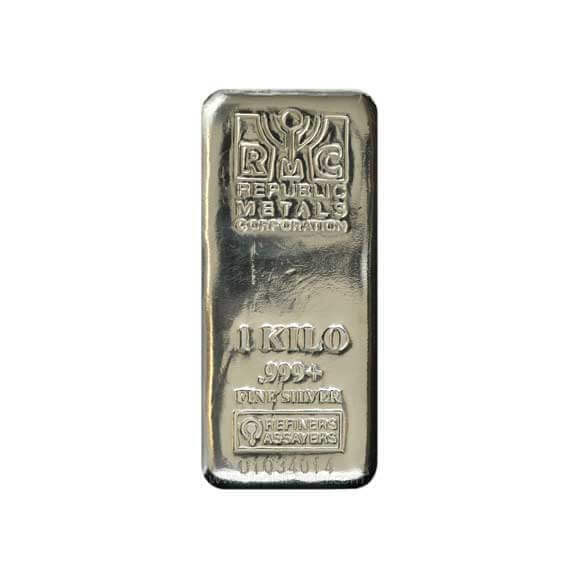 This beautifully made RMC Kilo Silver Bar (32.15 oz) falls into the mid-range size so popular today. It’s much larger than the 10 oz bar and at the same time smaller than the 100 oz bar – a balance which makes for unparalleled ease of handling when it comes to bullion silver products. 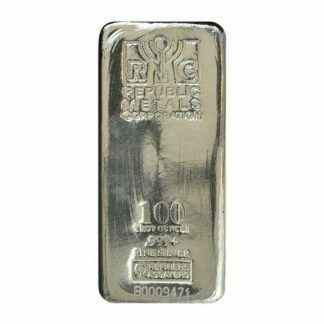 The RMC Kilo Silver Bar (32.15 oz) is produced by the respected Republic Metals Corporation, can be used in your Individual Retirement Accounts and is recognized and traded worldwide. 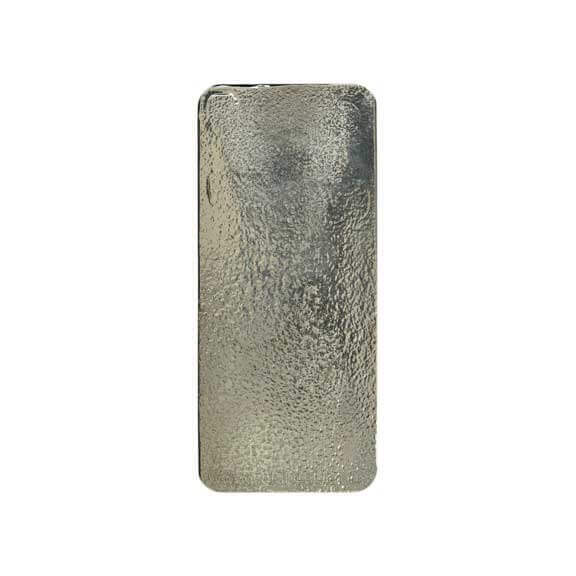 The RMC Kilo Silver Bar (32.15 oz) is poured, finely finished and new from the refiner. It includes rounded edges and contains the following hallmarks: (1) the famous Republic Metals Corporation trademark at the top of the bar. (2) The name of the maker – Republic Metals Corporation. (3) The weight of the RMC Kilo Silver Bar (32.15 oz) is clearly marked (1 KILO). 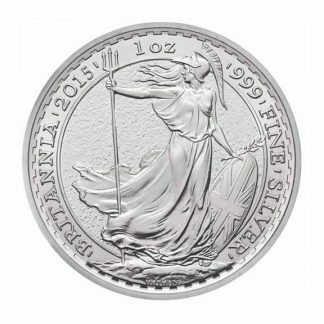 (4) Beneath the weight mark is a purity stamp (.999+), the words FINE SILVER and a distinctive manufacturing hallmark. 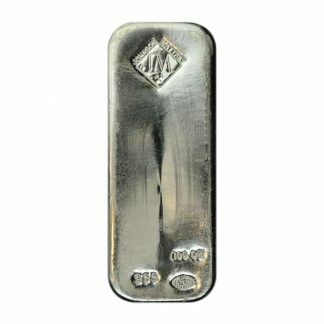 (5) Each RMC Kilo Silver Bar (32.15 oz) contains a unique 8 character serial number etched into the bar – providing a strong security upgrade. 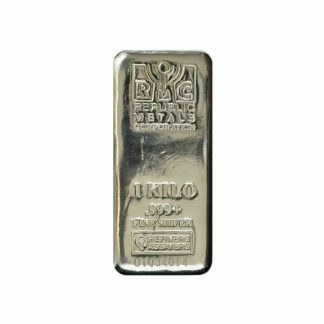 The RMC Kilo Silver Bar (32.15 oz) is also popular for other reasons: (1) its weight (32.15 oz) and size makes for easy storage and handling especially when considering a bank deposit box. (2) The universal 1 Kilo size makes consumer valuation simple because large dealers post daily buy and sell kilo prices. 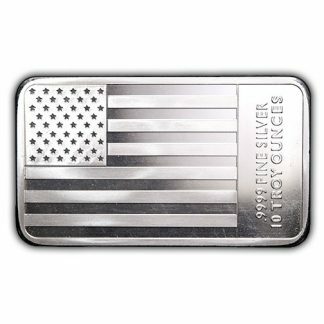 (3) The RMC Kilo Silver Bar (32.15 oz) is produced by one of America’s largest private manufactures, a big advantage because it guarantees the highest and most exacting quality standards. There are no reporting requirements when the consumer purchases the RMC Kilo Silver Bar. 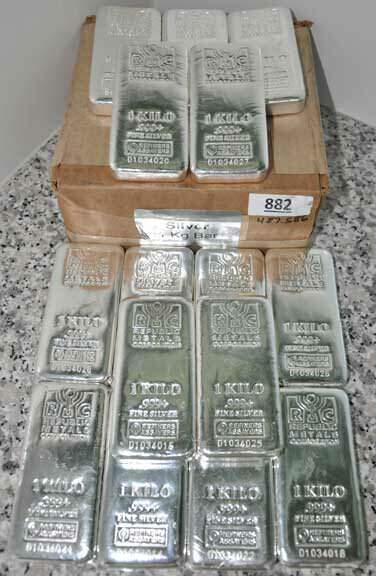 Your sale of 1000 ounces or more of the RMC Kilo Silver Bar (32.15 oz) is dealer reportable on I.R.S. Form 1099B. A total sale of less than 1000 ounces at any one time is not reportable by your dealer.